The City of Denison Animal Control officers are responsible for responding to reports of loose or stray animals within the city limits. Outside the city limits, contact Grayson County Animal Control. Listed below are numbers for your reference. 903.465.4714, Morton Street Animal Hospital (Denison City Pound - closed Wednesday afternoon) -- if you can no longer care for your pet. DAWG is not a direct intake facility -- the animals housed in our facility must come from the Denison City Pound. Animal welfare checks are the jurisdiction of the Animal Control departments or the SPCA of Texas (https://www.spca.org/abuse). DAWG has no jurisdiction and cannot perform animal welfare checks or confiscate animals from owners. If you need emergency veterinary assistance for your pet, please contact the Grayson County Animal Emergency Clinic at 903.337.0898. They are located at 3301 Woodlawn Blvd, Denison. DAWG does not have a veterinarian available. DUE TO OUR CONTRACT WITH THE CITY OF DENISON, DAWG CANNOT ACCEPT ANIMALS FROM THE GENERAL PUBLIC INTO OUR FACILITY. Click on this link for helpful information for those who need assistance rehoming their pets. DAWG receives calls nearly every day from people who can no longer keep their pets. While we would love to be able to assist everyone, it is simply impossible. A potential alternative is the adopt-a-pet Rehome program sponsored by the petco foundation. By listing your pet with this program, your pet will appear online through Adopt-a-Pet and receive a lot of exposure. 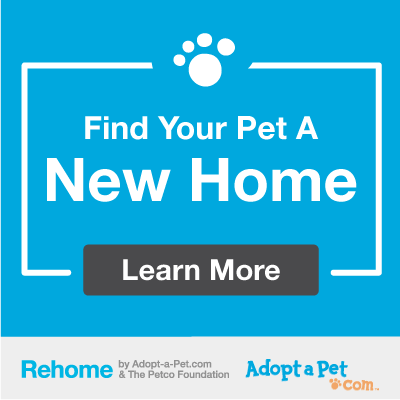 You will be able to review adoption applications and select the best new home for your pet, and DAWG will receive a donation for every pet placed through the program. Another rehoming program available to you is the How I Met my Dog program. If you need short-term assistance with pet food that will allow you to keep your pet in your home, DAWG may be able to provide you with a small supply of dog or cat food. Come to the DAWG House during a daily volunteer shift and talk to the volunteers.